Description:nbsp;The Flashlight Cubelet emits a focused beam of light from a powerful white LED. The light becomes brighter with higher input values, and is off with a value of 0. 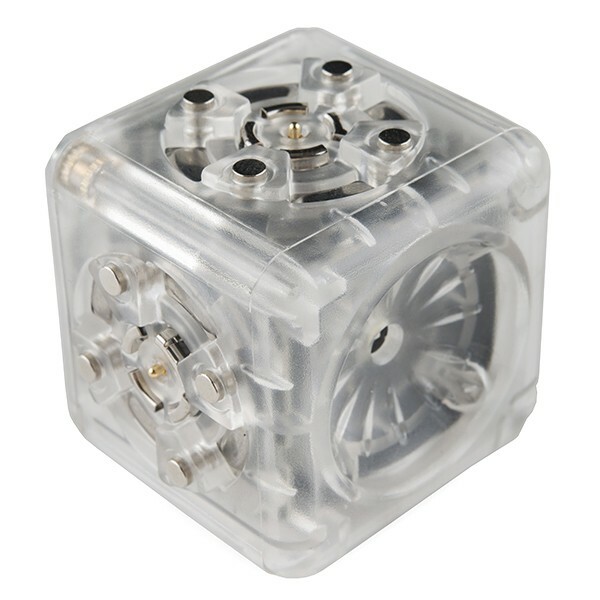 Cubelets are magnetic blocks that can be snapped together to make an endless variety of robots. You can build robots that drive around on a tabletop, respond to light, sound, and temperature, and have surprisingly lifelike behavior. But instead of programming that behavior, you snap the cubelets together and watch the behavior emerge like with a flock of birds or a swarm of bees. 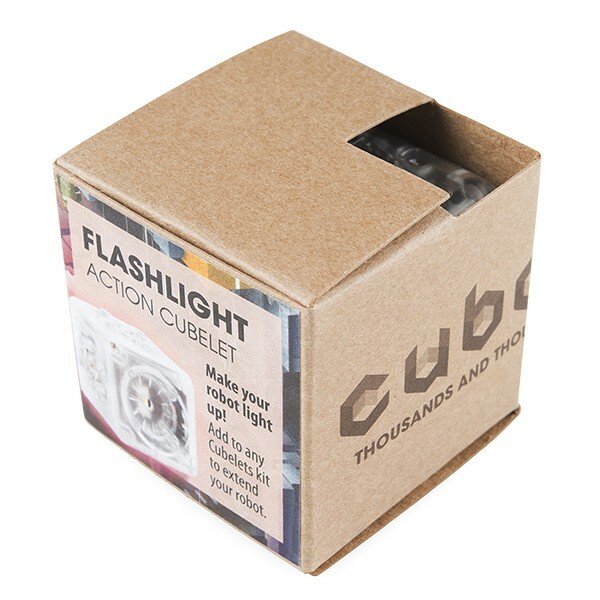 Note: Cubelets require a special battery and charger. You will need to purchase the charger separately.